Thanks to all who helped us celebrate at the MAC's 40th Anniversary Seminar. We were once again pleased and honored to welcome Y. Yokota Shihan, 7th degree black belt from Aikido World Headquarters (Hombu Dojo) in Tokyo. This was Yokota Sensei's tenth visit to the Midwest Aikido Center. This has become a wonderful annual tradition of learning and training under Yokota Sensei's open, energetic, and friendly instruction. A very special thanks to Yokota Shihan for his instruction and support. This seminar celebrated 40 years of aikido at the Midwest Aikido Center. The MAC was established in 1975 by A. Tohei Shihan, who was the senior Aikido instructor in the U.S. until his passing in 1999. 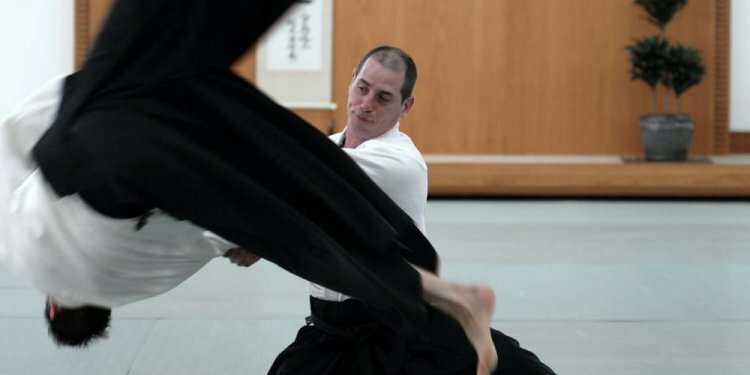 His most senior students continue Tohei Shihan's legacy daily at the Midwest Aikido Center. We would also like to offer a special thanks to Yamada Shihan. Although he wanted to to instruct and help us celebrate, Yamada Sensei was unable to attend in person. Thank you, Yamada Sensei, for your ongoing support and guidance. It was our privilege to welcome guests from all corners of the world to this special seminar, for good training during class and good times after. Thanks to the Alumni Instructors who lead a special class, allowing attendees to experience what Tohei Shihan's students are doing now. And thanks to so many other instructors, former and current members, and aikido friends new and old who brought so much energy to the practice and celebrations. Thank you all for your support and friendship.